The young Frederik tries to help the girl Karen, who thinks that her farther drowned and went to hell, because of the evangelical priest, who condemned him at the funeral. In Harboøre Frederik dosen´t meet the ´enemy´ as individuals but a strong solidaric community. In Salt we are closing our selves in behind the national borders and focus on beliefs, the free mind and nationalism in spe. In the dense darkness with cracked voices in psalm song and whispering prayers, we invite the audience out in the west wind and into a drama of the contradictions between the existential doubts of the lonely and the collective fundamentalism. Insprired by real events and "The fishermen" by Hans Kirk. 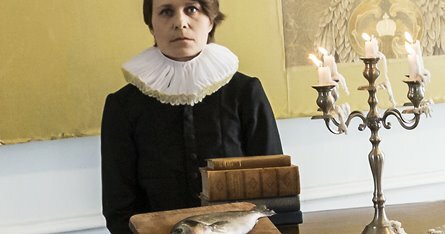 Bemærk: The performance is en English!